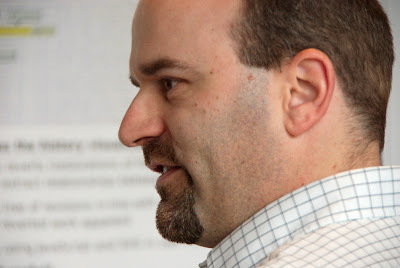 The Computer Science Department Open House was on Friday. 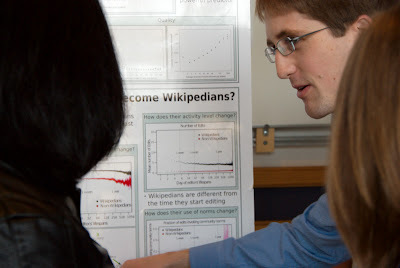 GroupLens, my research group, had five posters: two on Wikipedia, tagging, Q&A sites, and Cyclopath. 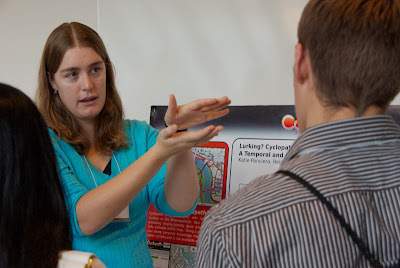 Katie Panciera is a Ph.D. student and the newest member of the Cyclopath team. Alex Stuart is an undergraduate working on Wikipedia. Jesse Vig is a Ph.D. student with some very nice tagging work going on. 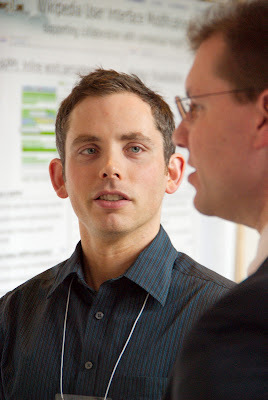 Morten Warncke-Wang is a Ph.D. student working on Wikipedia.